A wood pellet stove doesn’t need to be tended as often as a wood stove. Depending on the size of the stove’s hopper, the stove can run all day on a single load of pellets. Wood pellet fuel burns cleaner than wood stoves. Wood pellets are made from waste wood. They are an engineered heating fuel that can flow. They also have a higher BTU output than a similar amount of cord wood. Wood pellets are completely natural; there are no additives. The pellets are formed by compressing heated sawdust through a mill. The natural lignans in the wood are the “glue” that makes the pellet hold its shape. 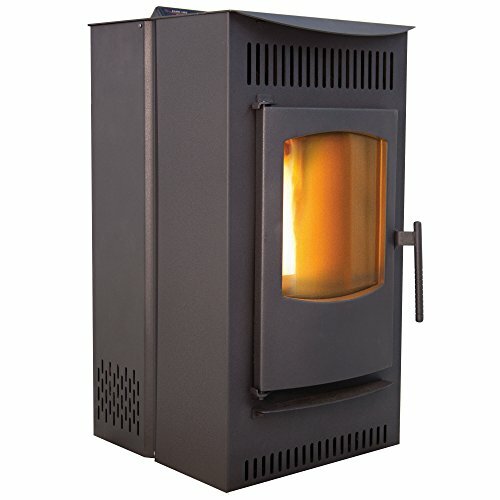 Pellet stoves require an electric connection and have working parts that you won’t find in a cordwood wood stove, such as a motor, an auger, and ignition. These working parts do make sound, which some people find disruptive. It’s good to try before you buy. More moving parts means there’s more that can go wrong, so choose a good quality stove that will save you money in the long run.